The creation of choreographer Damien Jalet and Kohei Nawa, Vessel is an exploration of the moments that sit at the boundaries and blur the lines around them. 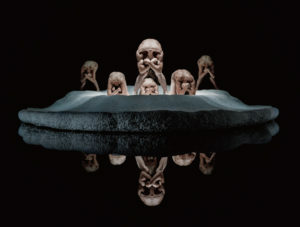 A luminously white island sits on a black, sleekly reflective pool of water, and working around, on top of and against this landscape, seven dancers intertwine and transform. The most obvious boundary that these figures interact with is the one inherent in the combination of collaborators, that between the human and the inhuman, the sculpture. Sheer lighting against the dark backdrop renders the dancer’s nearly naked bodies a Grecian, marbled white. As they move together, combining limbs and torsos in illegible and seemingly impossible ways, it becomes harder to conceive of them as individual humans and more as a set piece or installation. However, through their undeniable alive-ness, the audience are also challenged to place them in the taxonomy of humanity. On the one hand, they seem prehistoric, their staggering to the island the moment life left the sea for land and their contortions the effort of evolution. On the other hand, however, the muscular statures of a dancer’s body, especially when combined with others to create huge, new multi-limbed creatures, seems futuristic, aided by the reverbing electronic music composed by Marihiko Hara and Ryuichi Sakamoto. These dualities force the audience to consider how to relate to the performers and where they themselves fit in. Vessel bears an interesting resemblance to another medium, that of the horror film. Fresh from his recent choreography of the Suspiria remake, Jalet hints towards motions and tropes such as decapitation, the bone-bending possession of The Exorcist and the hyper-organic biology of Cronenberg body shock movies. This does not inspire fear necessarily but does create an interesting discomfort and unease, even against the beauty of the staging. There is also a hint of horror in the unexpected moments of childish, physical humour that punctuate the piece, creating a varied tone and texture that keeps the piece consistently surprising. Jalet is known for his deep interest in the roots of dance in religion and ritual, incorporating narratives from around the world in his work. You can find this in Vessel in moments of birth, anointment and Ovidian transformation. However, this work also resists too literal a reading and is fluid in the ways it uses these images. Instead, it is best encountered as what it is: a beautiful piece of art that uses the bodies of incredibly talented dancers in new but eternally relevant ways. 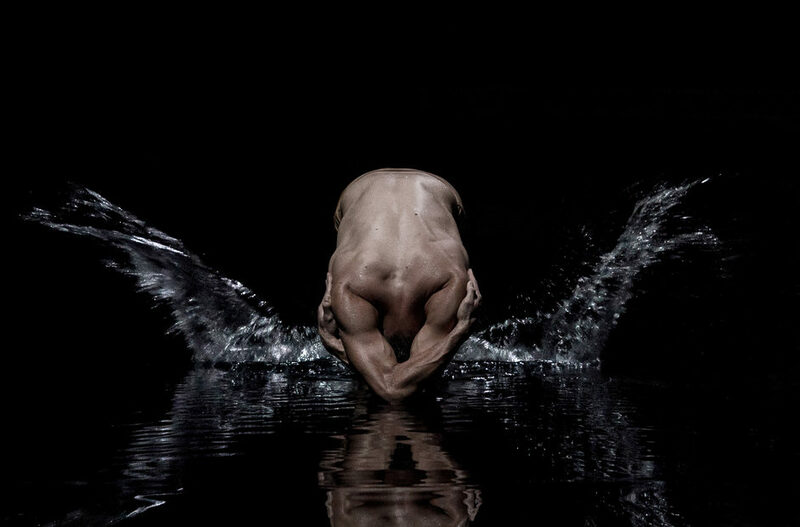 Damien Jalet & Kohei Nawa – Vessel is at Sadler’s Wells from 16th until 17th April 2019. 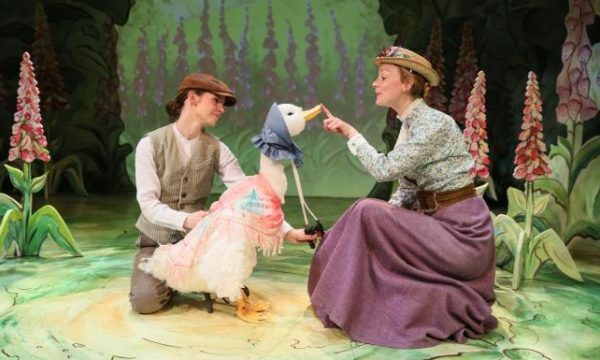 For further information or to book visit the theatre’s website here.